Tune Up Service - Marin Express Lube | You Ride On Our reputation!Marin Express Lube | You Ride On Our reputation! Wow, there is so much going on under the hood these days. The term “tune up” isn’t what it use to be 10 or 15 years ago. Many of the components that required regular tune up maintenance in the old days has been replaced and automated with complicated computer controlled components. Keeping your vehicle properly maintained and tuned up will help your engine running at optimal performance levels and keep the gas mileage as efficient as possible. A poorly running engine or misfires can cause poor fuel mileage, catalytic converter damage, or even internal engine damage. So it is very important to properly maintain your engine. There are still plenty of “old school” mechanics out there, but it takes a trained and certified technician to understand and diagnose all of these systems and not wasting your money on replacing parts that are not needed. It also takes expensive and advanced equipment to test and repair these systems properly. Our technicians are constantly involved in update training so they can stay on top of growing technologies. We invest in the latest equipment, tools, and technical resources to keep our technicians on top of our industry so we can keep your vehicle running properly for thousands of miles. 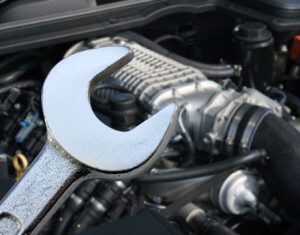 Our technicians are very experienced in spark plugs, coils, ignition wires, computers, sensors, diagnosis, valves, filters, gas mileage, tune up, and much more. A good technician is only as good as the parts installed. Our experience has taught us that only a small portion of the available parts are actually OE quality or better. Because there is a market for it, there are many inferior parts available on the market. “Cheaply sold” usually means “cheaply made”. If a part wont go on our personal vehicle, it wont be offered to our client.